Absolutely perfect location to stay in Tel Aviv while on vacation! Stores, shops, restaurants, transportation - all in walking distance. Apartment has everything you need for a tourist. It’s clean and neat. Towels are charged every day. I would definitely come back there. 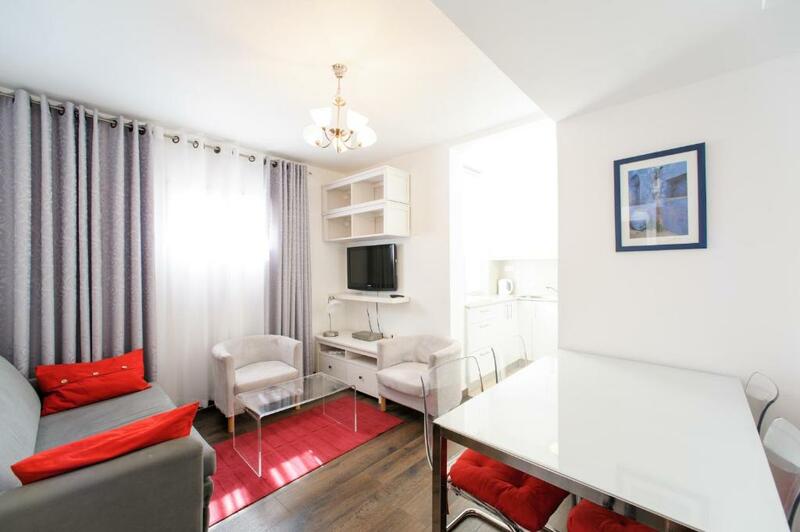 Perfect location in the very city centre. Cozy apartment, basic but has everything one needs for a short stay. The location and the room itself are good, at a fair price. Good location. Had everything i asked, like iron and hair dryer. Great location in a Bauhaus Bldg. Didn't meet owner but didn't need to. Towels supplied daily. The location is very good, very central and very easy to go to the beach. Lots of stores and restaurants around. I would stay there again. Proximity to shops, restaurants & family. Washing machine in the apartment was a great plus! We took the 1brm apartment & stayed for 2 1/2 weeks. It was a suitable size for 2 people & appreciated having the separate bedroom. Excellent location ! Apartment was cosy, and super clean and very reasonable priced. I would definitely stay again. Very clean appartament, everything like in the pictures Comfy bed, everything needed is provided. Excellent location. Lock in a great price for Star Apartments - Tel Aviv – rated 8.5 by recent guests! One of our top picks in Tel Aviv.Located just 2,650 feet from the beach, Star Apartments - Tel Aviv is just 650 feet from Dizengoff Center Shopping Mall. It offers self-catering accommodations with free Wi-Fi access. 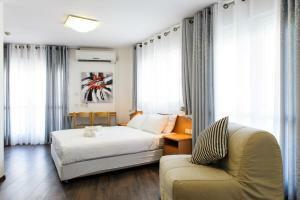 All studios are modernly furnished and feature a flat-screen satellite TV and a kitchenette. Each one has a bathroom fitted with a shower and a hairdryer. Several restaurants, bars and cafes can be reached with a short walk. A grocery shop is 500 feet away. Ha'Karmel market can be reached with a 10-minute walk. A public bus stop is located right next to the property. Merkaz Train Station is 1.6 mi from Tel Aviv Star Apartments. Old Jaffa is 4.1 mi away. 뀐 Located in the real heart of Tel Aviv, this property has an excellent location score of 9.5! When would you like to stay at Star Apartments - Tel Aviv? 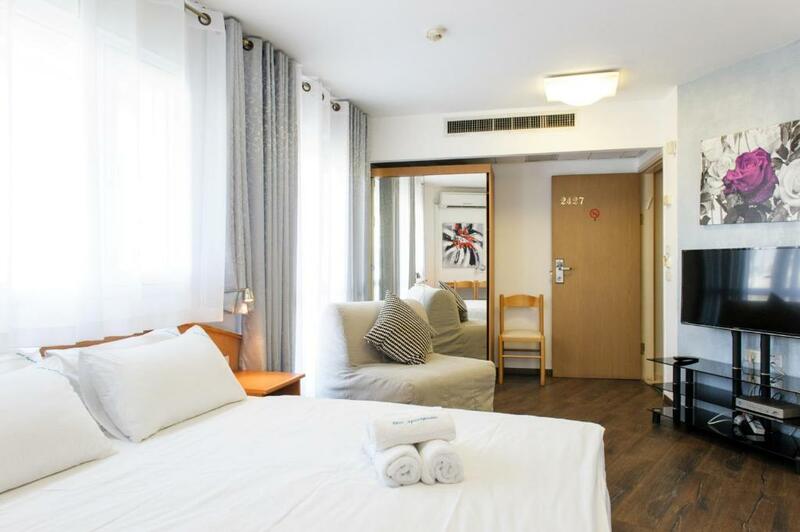 Equipped with a kitchenette and a flat-screen satellite TV, this air-conditioned studio also comes with a bathroom fitted with a shower and a hairdryer. 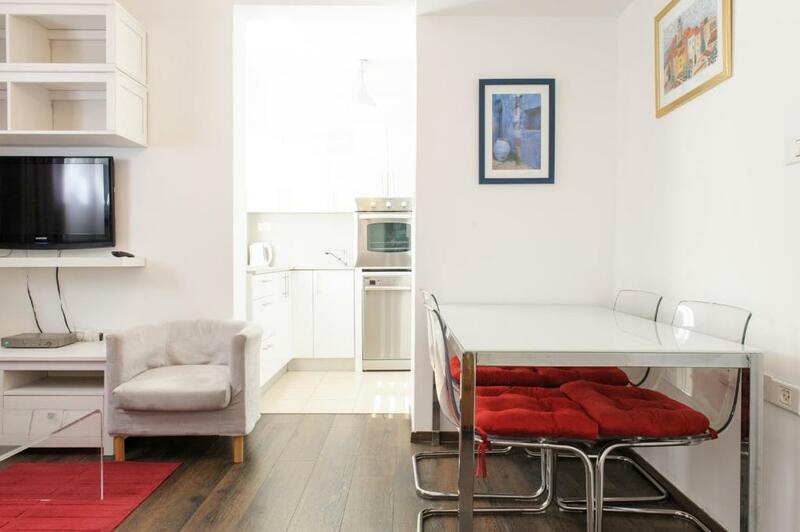 Featuring a balcony and satellite flat-screen TV, this smaller air-conditioned studio offers a kitchenette and a bathroom with a shower and hairdryer. This studio features a kitchenette, air conditioning and stovetop. This apartment has a kitchenette, sofa and satellite TV. This studio has a microwave, air conditioning and balcony. Наш объект размещения уникален тем , что находится в самом центре Тель Авива в непосредственной близости от моря , торгового центра , множества ресторанов , баров , клубов и других развлечений для туристов.Все находится в шаговой доступности . Отель полностью реставрирован в 2016 году. Мы живем в стране с прекрасным климатом и купальным сезоном практически круглый год , соответственно хобби и равлечения связанны с морем . В середине мая открывается сезон рыбалки на тунца , прекрасные погодные условия предоставляют возможность насладиться спокойным гладким морем и на расстоянии 30-50 км от береговой линнии заняться настоящей рыбалкой на тунца и блуфина . Любители или желающие выйти в море на рыбалку , могут заказать через администрацию объекта за отдельную плату. Старый Яффо - город крепость с богатой историей , квартал знаков зодиака , рестораны , старый порт, прогулки на корабле. Деловой центр Азриели с железнодорожным вокзалом в любые направления . развлекательный центр Сарона с множеством кафе и ресторанов. House Rules Star Apartments - Tel Aviv takes special requests – add in the next step! Star Apartments - Tel Aviv accepts these cards and reserves the right to temporarily hold an amount prior to arrival. Please inform Star Apartments - Tel Aviv of your expected arrival time in advance. You can use the Special Requests box when booking, or contact the property directly using the contact details in your confirmation. No reception, no hosts. All you get is a key and guidance to your room via an email. I didn't mind, but the most bothersome aspect were the rooms. They did not look like the pictures at all. Extremely small, dirty and old. I would never go there again and advise you not to book here. Only the location was nice. I stay two nights , but both at night about 3:30 hv somebody delivery to the floor , they will make big noise likes to strike! So horrible and bored! I loved everything. Clean and quiet room. The location is very good. Parking in Tel Aviv is challenging, so plan ahead if you are driving to stay here. There are car parks in walking distance, but they are popular and fill up quickly. Very good location in a lively part of Tel Aviv. Rooms were well sized and the bed was very comfy. Kitchen was suitably equipped. Self check-in / out was straightforward. The hot water part. It takes 30 minutes for the water to heat and you only have it for 10 15 minutes. great location, near shops, supermarkets and coffee shops. The apartement is very clean, towels were changed every day. The check-in and check-out procedures were very conveniently organized. Everything was great, thank yoy! very comfortable bed. Loved the balcony.